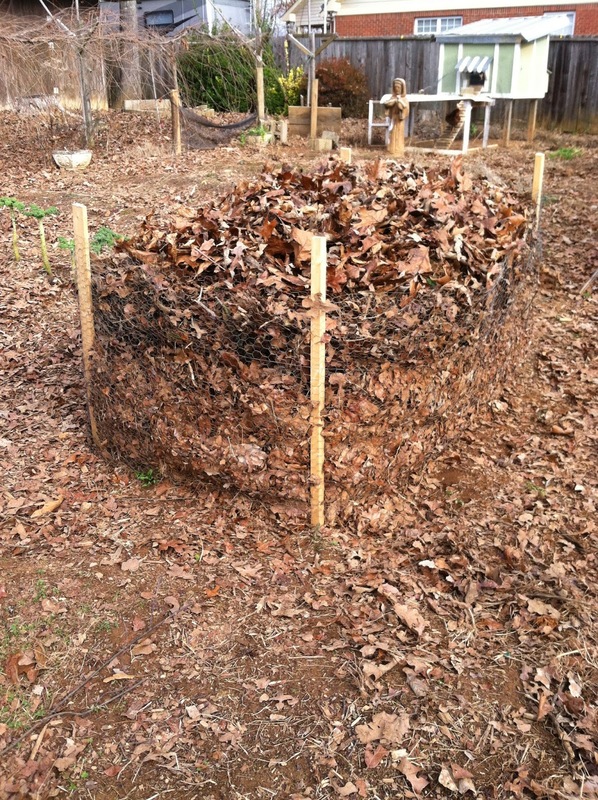 5) New additions to your garden such as: hoop greenhouse system, netting, fencing. Tips: Plant what your family loves to eat, try something new, and learn from the past. I would show you a sketch of the garden plan I have in mind, but I think it might be hard to decode with my sloppy drawings, notes, and scribble-scrabbles. 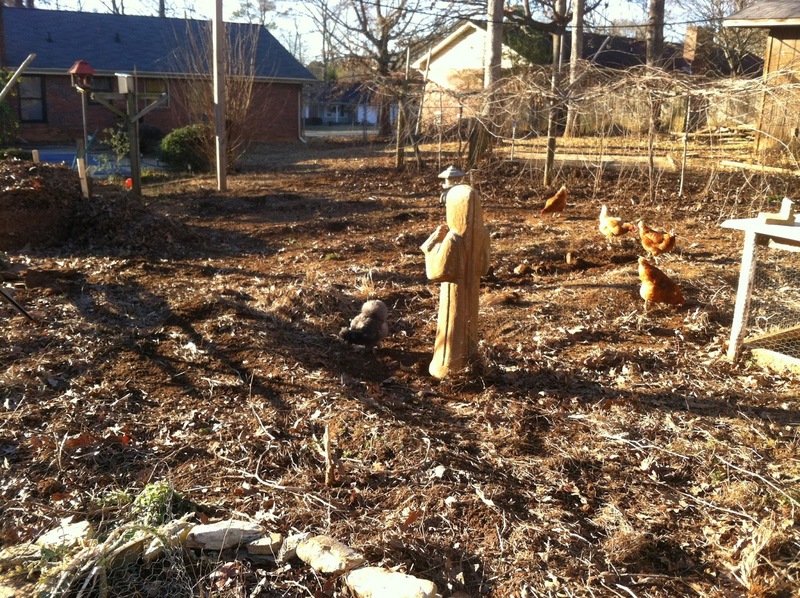 Also, I am planning on building a new large walk-in chicken run to keep the chickens from eating all of my seedlings. They are excellent at killing pests, but they tend to eat plants when they see me working in the garden. Take a look at some of the prep work from recent weeks. Sprouting lemon seeds: Break off pointy tip and peel outside shell. 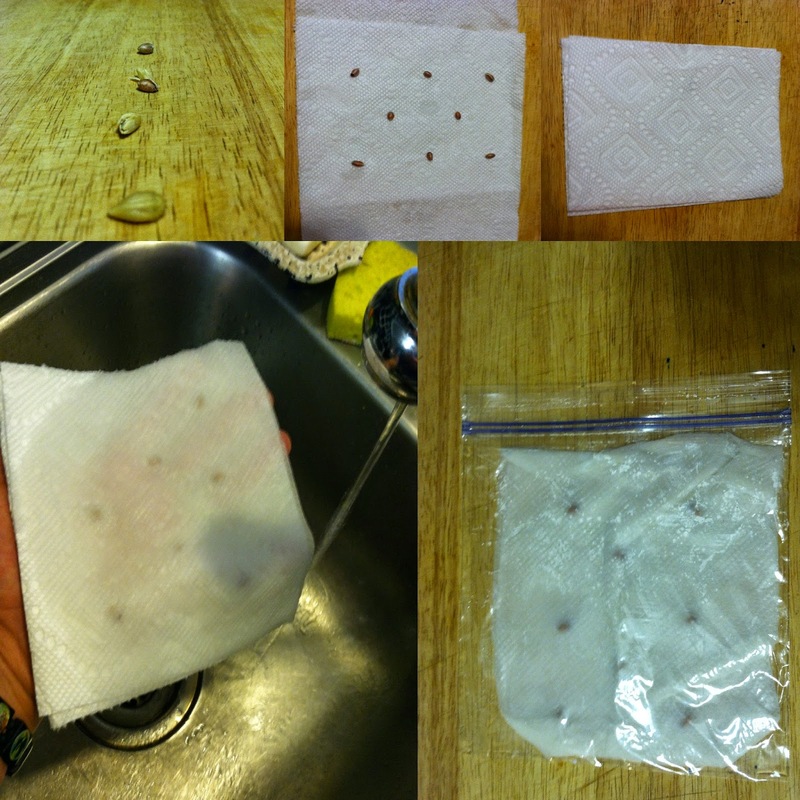 Place on paper tower, dampen, and place in plastic bag until they sprout. 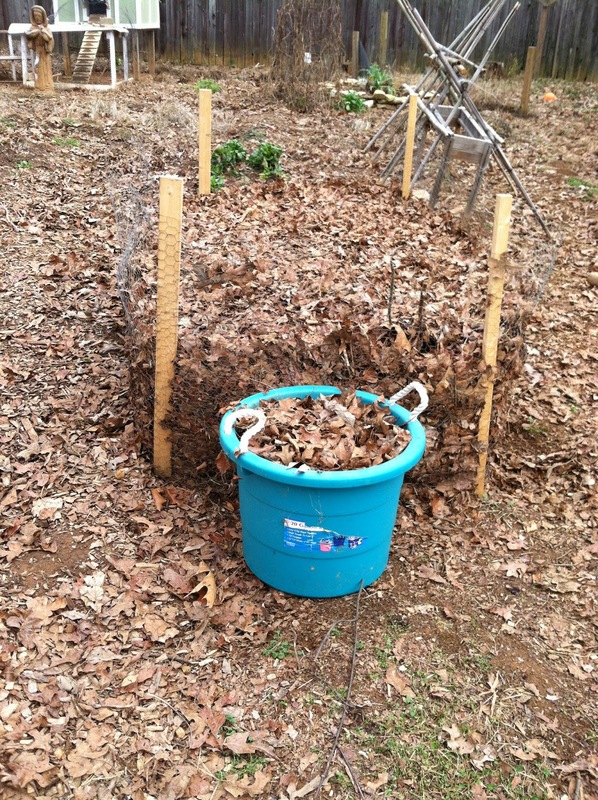 Leaf compost is one of my new additions to this years garden along with chicken manure. Keep pooping, scooping, and raking! 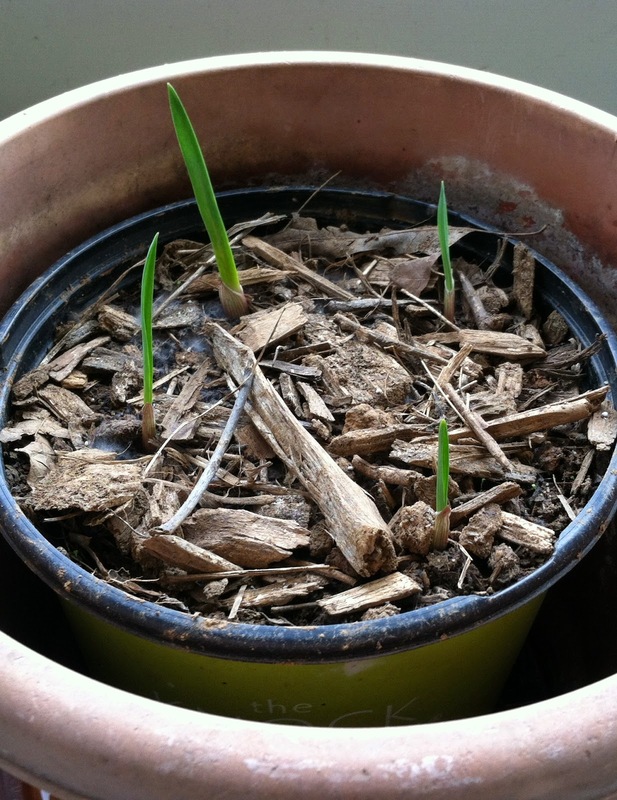 Garlic sprouted in the refrigerator....why not plant it? Note: It is too late to plant garlic, but nothing to lose. 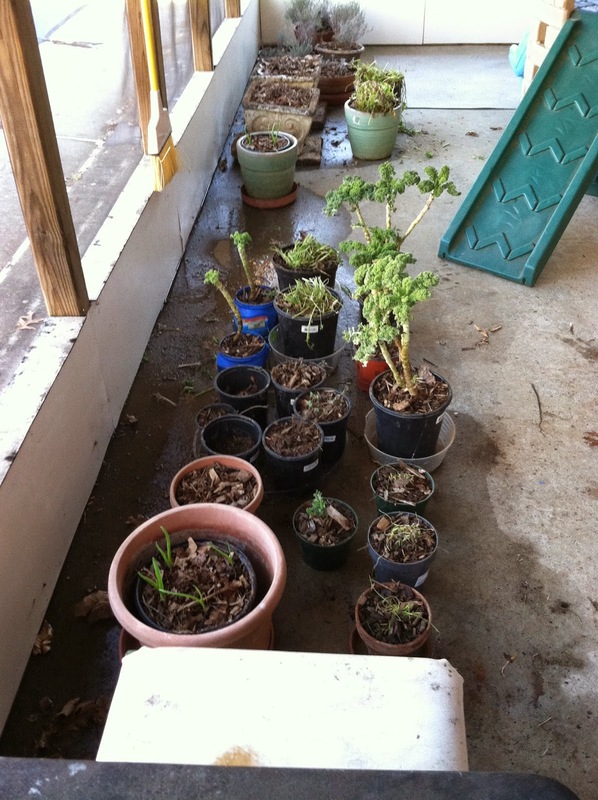 inside the screened-in patio to protect them from the moisture and freezing winds.